I was tagged by the lovely Aoife of A Little Infinity (http://alittleinfinity.me/) to do the Liebster Award tag. I was very excited to try this out. 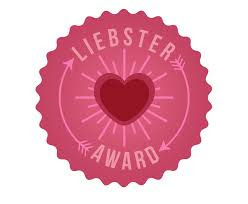 Liebster is German for sweetest, kindest, dearest, lovely, etc which is very nice! You have to post 11 things about yourself, then tag 11 people to answer 11 new questions. The idea is to highlight fairly new bloggers. So here it goes! I have always loved blogging - as in other people's blogs. My routine on a Saturday would be to check all my favourite. I have always been an 'online' person and would regularly post on boards.ie, particularly the beauty forum, as well as reading Reddit Lacqueristas. I do actuary exams which take up a lot of my free time and always used that as an excuse to not start up a blog. Once they were over for a few months, I had no excuse so I started it up. My idea is to share my love of nails and also make up with a little bit of lifestyle, maybe even my nerdy actuary lifestyle. 2. Where did your blog name come from? 3. What’s your favourite beauty brand? Nails, it would have to be Essie. I'm not snobby re brands, I have stuff that cost €1.50 and stuff that cost €15 (looking at you Butter London!). Essie have a great collection of pinks and pastels so they are great for everyday wear. Second would probably be Nails Inc, they are a bit more 'on trend' and there is one right by my house! For make up, I would probably say Mac, but having said that, I love lots of different brands. In Mac, I love the lipsticks, MSF powder, eyeshadows and brushes. But I love YSL lipsticks, Estee Lauder for foundation and skincare, Lancome for mascara, Stila for eyeshadow etc. 4. What’s your current/summer scent? I am actually not a big fan of perfume. 99% of the time, I wear my favourite perfume - Acqua di Gio by Giorgio Armani. I have been wearing it since I was about 14 so anything else feels wrong now. I love it because it's very floral but not sweet, it's light and very fresh. I can only find it online and in duty free now. Luckily for me, I travel most months for work so I can pick it up when I want. 5. How do you treat yourself after a bad day? I love to do my fake tan, always gives me a confidence boost. After exams, I sometimes get a massage but it's an expensive way to unwind. If my nails are at all chipped, I will fix them up too. I do love going for Shellacs but I find it hard to keep to one colour for 2 weeks and with so much polish, it's getting harder and harder to justify the cost. I'll often get a take away to unwind too, especially on the weekend. I love Thai and Indian, nom! 6. Who’s your all time favourite blogger? That is a very hard one! I am not always a fan of 'celebrity bloggers'. I do like blogs that are regularly updated, feature a lot of photos and have things that are at least moderately affordable. I prefer blogs from the UK or Ireland, or ones which feature stuff we can get here. I definitely prefer beauty bloggers to fashion bloggers, I'm not 'cool' enough for that! 7. Have you ever/would you ever make the leap to YouTube/vlogging? 8. Favourite thing about the city/town you live in? I'm from Dundrum, home of the Dundrum Town Centre. Most of the time, I love living beside it, however, occasionally it can be a bit annoying, like at 3pm on a rainy Saturday or any time near Christmas, because it causes traffic mayhem. Dundrum has really improved in the last few years - as well as the town centre, we have a motorway and the lovely Luas which brings me to work each morning. Beauty and make up wise, there are a few things. Badly plucked eyebrows, foundation lines, professional girls with nail polish starting halfway down their nails. I also dislike bad fake tan, this is coming from a girl who tans each week (and hopefully does an ok job at it!). It just gives the rest of us a bad name! 10. Favourite and least favourite thing about blogging? I have absolutely loved connecting with the blogging community so far! By far the nicest group of girls i have come across. A lot of the time, I find myself in male dominated areas or with girls who don't wear much make up so it's amazing to chat to people who love beauty as much as I do! I haven't experience many negatives so far, however I do feel a bit guilty when I don't post for a few days. I travel for work and can be away for a few days at a time. I often have to go out for dinner with colleagues and then am so wrecked I hardly have time to go on Twitter, let alone think about blogging. I think good planning is the best way to combat it though! I love desserts of all kinds! The more fattening, the better. I had a cheesecake from The Cheesecake Factory recently, which was amazing. I particularly love anything with almonds in it, but also love chocolate, ice cream, cake, biscuits etc. the one thing I'm not so keen on is whipped cream. 1) What has your highlight of blogging been so far? 2) What is the one feature of your face you like to highlight the most? 4) Best holiday destination so far? 5) What is your favourite season? 6) What did you want to be growing up and what are you now? 7) What beauty product do you most want to try but haven't yet? 8) If you won the lottery, what's the first thing you would buy? 9) What's your best beauty tip? 10) What would be your perfect meal? 11) Favourite blog post of yours so far? Sorry if you have been nominated before! Leave a comment underneath with your blog link if you choose to accept! Great answers! I'm loving reading everyone's posts, for exactly the reason Emma just said! And I totally agree about the community thing being one of the best parts of blogging. At the meet-up I found it so nice to be around so many people who love beauty stuff as much as I do, as I'm the same as you with being around mostly guys all the time!